April brought sad news to the automobile world as we learned of the passing of Ferdinand Porsche, who designed the 911. Read more about his contributions in this newsletter. On a happier note, the event calendar is filling up with a variety of opportunities for all of us to get out in our Porsches. Read on. May 5 - Ding day. Dings will be repaired in a clinic at Paintwerks. Does your car need a spa treatment? Sign up today. Details here. May 6 - Meet for brunch at Hi-Way Harry's. Stop for brunch after Cars & Coffee in Lake Mills. Details here. May 6 - Cars & Coffee, Lake Mills. 8 a.m to 11 a.m. Hosted by 2Shores International. This is a free car show. Mingle, talk about cars. Take I-94 to Lake Mills exit. Follow signs in town to 2 Shores. May 14 - Classroom session to prepare you for a drivers education event. Get ready for the May 25 DE event. Learn what DE is all about, including safety. Details here about this event. 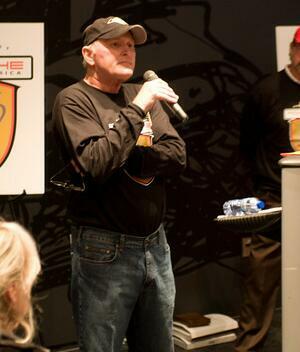 May 19 - Road America to honor military veterans. Details here, Spring Vintage Races. May 22 - German car night at Highland House, Mequon. Details here. May 19 - Spring Waterfalls tour in the U.P. Hosted by Fox Valley Region. Milwaukee Region members are invited to participate. Details here. May 27 - Autocross at Miller Park. Drive your car at low speeds through a course marked by safety cones. You will have a number of timed runs. Miller Park: North lot. First car out: 10 a.m. Cost: $45 members, $50 non-members. June 23 - Spring driving tour. Save the date. More details will be published soon. July 6 - 7 - Millers at the Mile. Details here. July 14 - Road & Track Concours d 'elegance on the streets of Elkhart Lake. Al Wagner will lead a driving tour from Cedarburg to Elkhart Lake to see this amazing concours. An optional dinner is part of the agenda. You must registration in advance. Details and a downloadable registration form are here. July 17 - Porsche Night at the Highland House Car Nights. Details here. Aug. 4 - Picnic and social gathering. Food, games, informal car show. More details coming soon. Bob Shellman is coordinating this event. Every Tuesday night starting in May and running through the end of September, there will be a car show at Highland House, Mequon. May 22 is German car night and July 17 is Porsche night. Come out and join the fun. Full schedule here. Fish Fry: Check out the photos and the story about the fish fry at the end of March here. Cars & Coffee: The first Cars and Coffee was held on April 1. Check out the photos here. Cars and Cofee convenes the first Sunday of every month through October in Lake Mills. This isn't a region sponsored event but worth the drive if you enjoy seeing a variety of well-maintained cars. 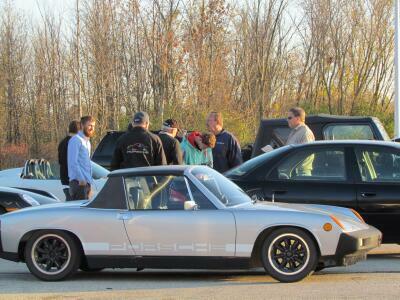 Next Cars & Coffee is May 6. The following members joined the region in April. We look forward to meeting them at a future event. The Milwaukee Region extends a thank you to Mike Jurkowski for his service as membership chair for the region for the past several years, starting with the era when Dan Matre was region president. Over the years, Mike has helped many members with their membership records, answered questions about where to take their Porsche for service and directed them to other resources within the Club. He has also recruited new members and has been the sender of countless email blasts to inform members of upcoming events. Thanks to Donna Daufenbach who has agreed to serve in the role going forward. Andy Gulczynski motored into the region in March as a first-time Porsche owner. Here’s his story. “I'm just over 50 and we are empty nesters. With the kids gone, I thought it was time to get a sports car. No it's not a mid-life crisis as I'm a sport biker who has been doing track days for the last 10 years and will continue for as long as I can still ride. It's great to be in Wisconsin when you have such an awesome track like Road America. “This is my first Porsche. I started to research for one last September. I was originally looking at a 350Z, but was influenced by a friend of mine (who has a 1987 Targa) to look into a Porsche. “I started to research them and decided this is what I was going to buy. I wanted the newer style with the water cooled engine and the search started. Andy reports he checked out Auto Trader, Cars.com and eBay searches and reached out to four out of the many that he looked at. He found his car out in LA. “I have a brother that lives in San Diego who went up and test drove it for me,” he said. The test drive sealed the deal making Andy the fourth owner of a 1999 911 Cabriolet with 47,000 miles on it. “It came with all of the service history, so I felt good about buying a 13-year-old car. Andy said he hopes to join the region for some social events and maybe a drivers education event this summer. He is the director of print production for Jacobson Rost Advertising in Milwaukee. Welcome Andy. 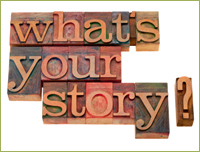 Meet the board -- an ongoing series to introduce members to the board of directors. It’s one of those things we chalk up to fate. On Jan. 1, 21 years ago, friends were heading to an auction in Lake Geneva and invited us to join them. Among the items that would be sold that day was a 1976 Porsche 912E. I had my eye on the car and when it came up for bids I enthusiastically joined the bidding. When the gavel came down it was mine. It was exciting and I shared the moment with Renee (my wife) telling her I won. Being an accountant and all, she reminded me that I didn’t win it, I bought it. That’s just a point-of-view I thought, a technicality. But it’s a fact that I knew almost nothing about the car. I had no idea where to take it for an honest assessment of its mechanical condition or who could service it. I then learned about the Porsche Club and contacted Randy Hallenbeck who was the Milwaukee Region president at the time. The conversation with Randy gave me a glimpse into a whole new world. I saw a world that would not only provide me with answers to my questions but one that would give me access to a smorgasbord of Porsche-related activities and the opportunity to get to know other Porsche owners. It looked inviting, and Renee and I joined the club. Completely intrigued with the idea of a day on a road course I participated in a driver’s education event at Blackhawk Farms Raceway. It was only a month after joining the Region. Tony Stevens (Brooks Stevens’s grandson) drew the short straw and was assigned as my instructor. What I remember most about that day wasn’t so much the adrenaline rush from my first session of the morning. It was watching Dean Fabritz drive the snot out of his 914 -- a four banger turning faster lap times than many 911’s in the fast run group. I learned that being fast isn’t about horsepower, which was absolutely the case growing up as a drag racer. Being fast was all about being smooth. And Dean was smooth. It wasn’t long before Renee was also doing track days. From there we started autocrossing, enjoying social events, and just about everything else that appeared on the Region calendar. Much to our delight, our daughter Rachel enjoyed Milwaukee Region events as much as we did. For us PCA became a family affair. In just a couple of years we added a 914 to the collection. That was soon followed by a 911 RS America. There were two things that appealed enough for us to become very actively involved in the Milwaukee Region – a broad range of events and terrific people. There were members who we saw almost exclusively at driving events and others only at social events. Then there were those like us. We saw them at all types of events. We got to know many of them well and have formed friendships that transcend the car. Great cars and great people! Twenty-one years and seven Porsches later it’s been a great ride! The world we discovered was more than we expected. It’s been a shared journey for me and my wife and our daughter Rachel. What a ride! Read the classifieds here. Ads are added on a regular basis throughout the month. You don't have to wait until the newsletter goes online to see what's for sale. The Porsche 911 for 2012 has received accolades as a top World Performance car. Read the details here. 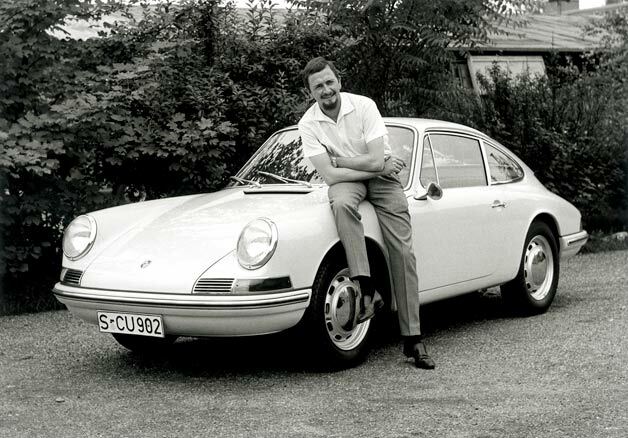 Read more about Dr. Ferdinand Porsche, the mastermind behind the 911, here. Thanks to Donna Daufenbach for the link. Details here.